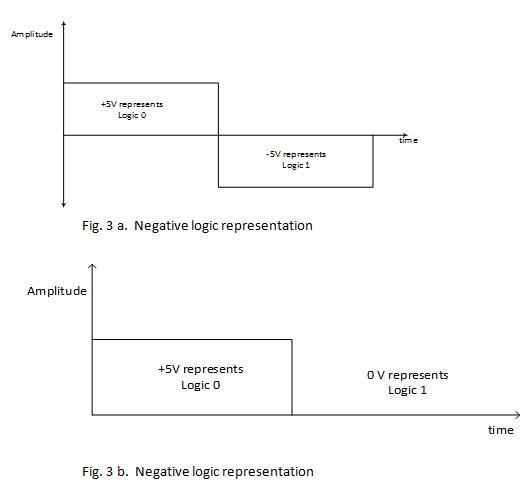 There are two types of representations used in digital systems, the positive logic and the negative logic representations. 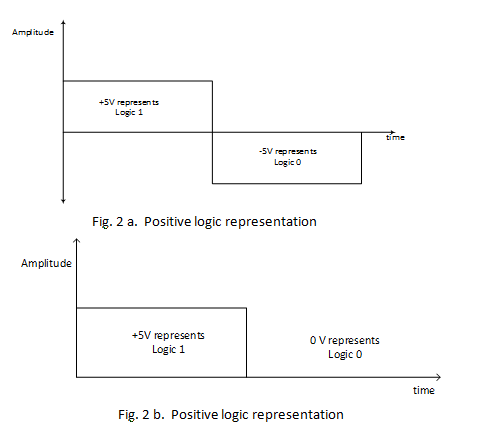 In positive logic representation Bit 1 represents Logic high and Bit 0 represent a Logic low as shown in fig 2 a and b. High is represented by +5 Volts and low is represented by -5 Volts or 0 Volts.